The PGA Tour returns to Georgia’s St. Simons Island November 15-18 for the RSM Classic, hosted by the Sea Island Golf Club. The club is known for its difficult courses while St. Simons Island is also home to numerous professional golfers including Matt Kuchar, Jonathan Byrd and Zach Johnson. The tournament is hosted by 21-time PGA Tour winner and World Golf Hall of Fame member Davis Love III, also a resident of the island. The tournament is unique in that it plays over 2 courses. The Plantation course, heavily altered by Rees Jones from its original layout, is played on one of the golfer’s first two rounds while all other rounds are played on the Seaside course, updated by Tom Fazio in 1999. Together, the courses provide a stern test for the strong field arriving in Georgia. 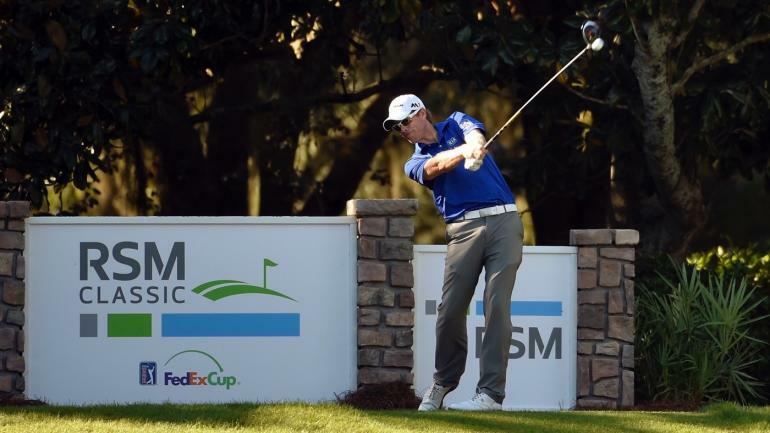 In addition to the prize money and FedEx Cup points, the winner of the RSM Classic also receives a lucrative Sentry Tournament of Champions invitation. The principal charity supported by the RSM Classic is the host’s own Davis Love Foundation. The foundation focuses on children and their families and provides a large amount of funding to benefit other organizations including the Special Olympics and Boys & Girls Clubs of Southeast Georgia. In addition to proceeds from the tournament itself, the charity also puts on several events throughout the week in order to raise money and engage the community. This includes a charitable bike ride sponsored by Chick-fil-A and Pro-Am event sponsored by Yamaha. In all, the Davis Love Foundation has raised millions of dollars to benefit local and national charities. For fans looking to attend the event, there are only general admission tickets still available. Spectators can purchase daily tickets for $30, or a good any day ticket for $35. A weekly ticket book costs $100 and includes a general admission ticket to Saturday night’s Jon Pardi concert. Fans can also upgrade their general admission tickets to include access to the Mellow Mushroom Chill Club, a venue between the 16th and 17th holes, for $10 per day. The cost is actually a donation to the Davis Love Foundation and includes not only access to the facility with an elevated viewing deck and food and beverage options, it also includes 2 free slices of pizza and a beer. Youth 17 and under are free when accompanied by an adult ticket holder. Active and retired service members are eligible for 2 complimentary tickets each day of the tournament while veterans have access to discounted tickets for $15. Complimentary food and non-alcoholic beverages are also available at a military-only hospitality tent. Spectators unable to make the trip down South can enjoy all the action on the Golf Channel. Coverage is being provided Thursday-Sunday from 1:30-4:30pm ET. Radio coverage is also available through PGA Tour Radio on SiriusXM and PGATour.com. Coverage is 11am-4:30pm Thursday-Friday and noon-4:30pm Saturday-Sunday.